Pioneering in space was something I would willingly give my life for. 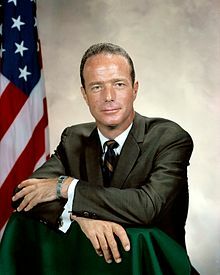 Cmdr Malcolm Scott Carpenter (1 May 1925 – 10 October 2013), was an American naval officer and aviator, test pilot, aeronautical engineer, astronaut, and aquanaut. He was one of the original seven astronauts selected for NASA's Project Mercury in April 1959, the second American (after John Glenn) to orbit the Earth and the fourth American in space. I volunteered for a number of reasons. One of these, quite frankly, was that I thought this was a chance for immortality. Pioneering in space was something I would willingly give my life for. This page was last edited on 4 September 2018, at 23:42.